The Department for Transport said it is ‘set to review guidance on how road users should behave in relation to cyclists and pedestrians’. The new Highway Code will highlight how to avoid the dangers of close passing – where drivers give cyclists too little room when overtaking. It will also encourage people to adopt the ‘Dutch reach’, a method of opening a car door with the hand furthest from the handle, to force drivers to look over their shoulder for passing traffic, the DfT said. In 2016 transport secretary Chris Grayling hit a passing cyclist with the door of his ministerial car. 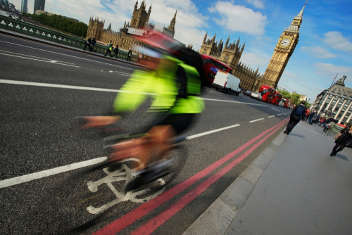 Cycling and walking minister Jesse Norman said: ‘Britain has some of the safest roads in the world, but we need them to be safer still for all – and particularly for cyclists, pedestrians and other vulnerable road users. Joe Irvin, chief executive of Living Streets described the move as ‘a major victory’. He said: ‘People walking and cycling do not cause road danger, congestion or toxic air levels, and yet they’re the ones who too often pay the price on our roads. Last year, there was a 5% rise in pedestrian fatalities - this cannot continue. Duncan Dollimore, head of campaigns at Cycling UK, said: ‘Close overtakes and people opening car doors in front of cyclists are not only dangerous, they also put people off riding a bike.